Our security division has expanded with great technical support from David at DC Alarms. 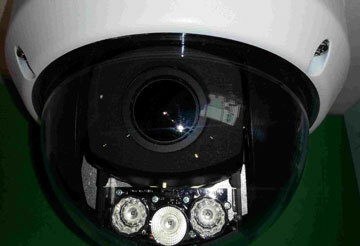 He helps provide the support for our full Security Service with Monitored Alarms and Commercial Camera Systems. Our main aim is to give our customers peace-of-mind when they are travelling or away from home and to protect small businesses. New camera technology allows us to install Security Camera Systems – with a Networked Recorder, Night Vision Cameras and Remote Smart Phone Access – in the family home or small business for under $2,000. These features were previously reserved for high-end commercial applications costing much more. 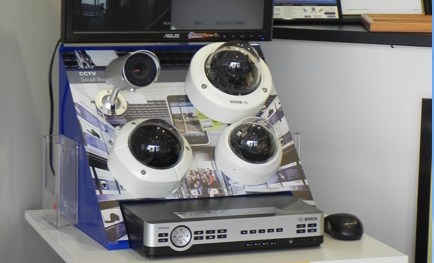 Some of the new systems can include High Definition Cameras up to 8 megapixels, Infra-Red Detection, 102 Degree Viewing Angle, remote power and full network connections over 1 cable, 30 days recording and motion alerts, plus on board SD card for added protection. THIS IS NOT BUDGET EQUIPMENT. This is professional equipment with unobtrusive, vandal-resistant cameras and user-friendly recording playback and remote viewing. You even get digital zoom! Why Do I Need This Technology? But for most of us it means you can be down at the shops, or on the other side of the world, and you get an alert if there’s movement where there shouldn’t be. You can log in, look around, zoom in and playback – all from your phone or computer. You’ll know if your neighbour is borrowing your whipper snipper, or your eldest is wagging school, or if the dog just got out! If you do experience a break-in, the crystal clear footage provided by these new High Definition cameras will help the Police arrest the crooks. But we think the real peace-of-mind comes from being able to check your property, wherever you are. So, if you know someone heading off on the big trip around Oz, or a small business owner needing some cameras, let them know that we can help.